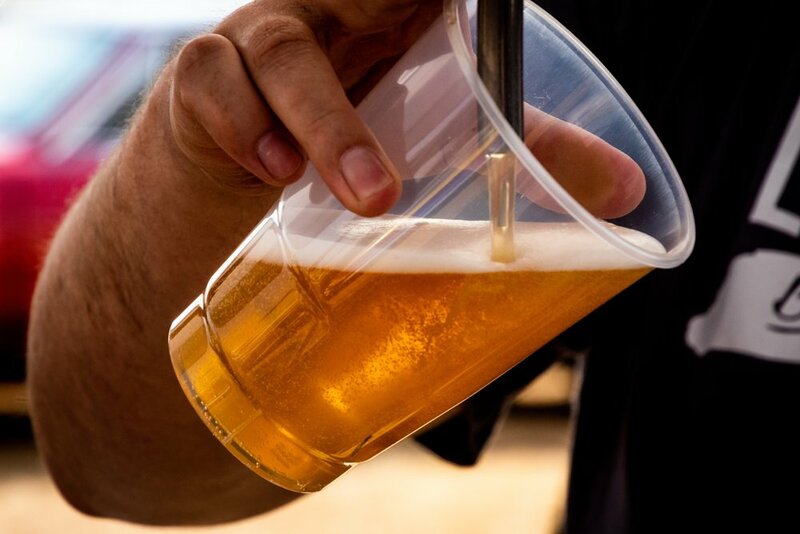 Festival sponsor Loveland Distributing has begun their own tradition of pouring rare beers every hour, on the hour, for the duration of the festival. To brand and marketing manager Amanda Marable, it’s a way to showcase a different kind of artisan—the brewers who provide special, small batches of their most elusive brews. The event has been a hit since its debut in 2016. Visitors start lining up for a unique favorite or a new beer they may want to try—the five-gallon kegs go quickly once they’re tapped, so time is truly of the essence. Marable starts early every year to get breweries involved. But with the Richmond Folk Festival’s reputation for bringing in hundreds of thousands over the course of a weekend, she finds it refreshingly easy to pique their interest. Often, the brewers show up at the festival themselves, sometimes to take part in the beer area’s panel discussions or trivia games, but sometimes just to take in the sights, sounds, and, of course, sample brews. “Some beers we don’t get until the week before the festival,” says Marable. “They have to be super fresh. Others have to be aged, so they’ll show up weeks ahead of time.” As the kegs roll in, the list—and the excitement—grows. This year, Marable’s particularly excited about a brew called Sticky Treats from Florida-based Funky Buddha. “It tastes like a Rice Krispies treat,” Marable confirms. If that doesn’t seem like your cup of tea, er, beer, she urges you to come try it for yourself. Just don’t be late. “We’ve had beers run out in 18 minutes,” she remembers. Barrel-aged brews tend to go the fastest, and Stone Brewery’s carrot-cake-inspired contribution last year practically caused a little, good-natured riot. If you’d rather leave the exclusive stuff to the enthusiasts, there’s plenty for you, too. The regular beer trailer’s taps are always flowing. One year, Marable and her colleagues returned to an empty keg cooler and immediately had to get on the phone to brewers and beg for more beer to sell to their regular retailers and restaurants during the week. But Loveland isn’t complaining—being dangerously low on beer that Monday is the sign of a good festival. And while she and her colleagues rarely get to take a break from filling glasses to see some of the artists their own festival-within-a-festival keeps them plenty entertained. And, of course, there’s Folk FestivALE, the Richmond Folk Festival’s official beer, which this year comes in the form of a specially-brewed session IPA by Champion Brewing, available now in select stores. Follow Loveland Distributing’s Craft Beer Area Facebook event page to see up to date lists of beer coming our way this year.